If I could I would spend every single day of summer at the beach. 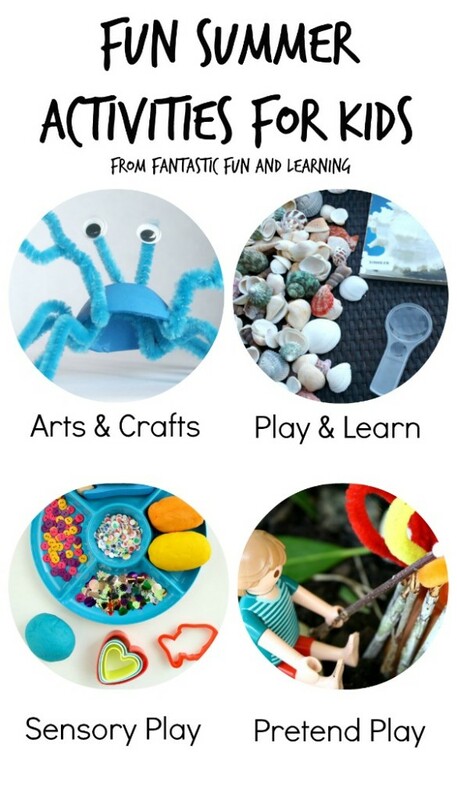 Unfortunately it’s just not possible, but that doesn’t mean we can’t bring a little bit of ocean inspired play into our days at home. 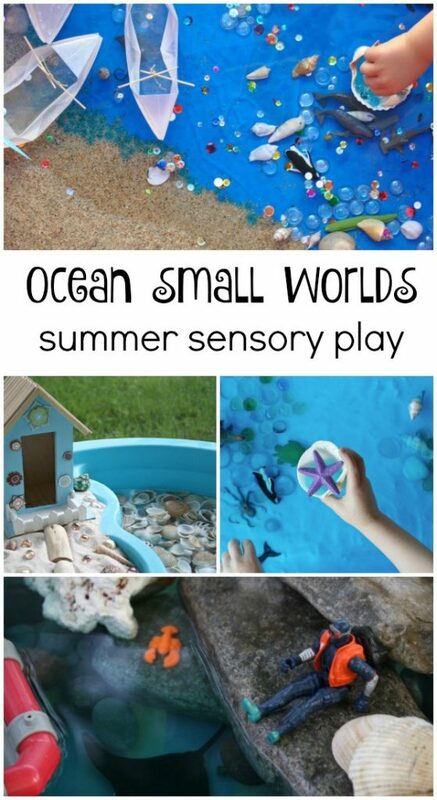 These creative ocean small worlds are great inspiration for creating your own pretend play invitations this summer. Use them as part of an ocean theme, or just set them up when you’re wishing you were at the beach instead. 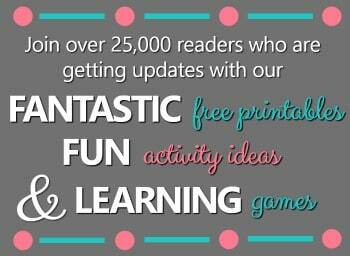 They’re sure to inspire lots of play and learning. Build your own beach at home and enjoy the soothing water in this beach small world. 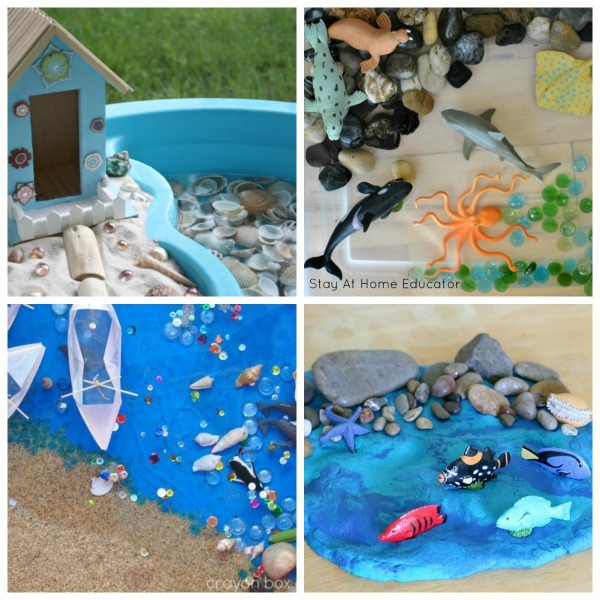 Pretend to be sea creatures exploring underwater with this ocean small world from Stay at Home Educator. Go BIG with your small world and create it in a kiddie pool like this ocean sensory pool featured on Housing a Forest. Aren’t those boats, clever!? Use play dough to create a rocky shore small world like Buggy and Buddy did. 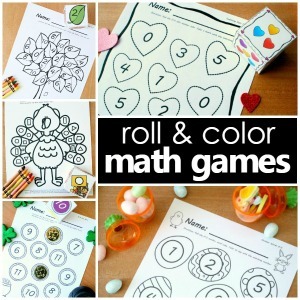 Add in some alphabet matching practice with our abc ocean sensory bin (not pictured). 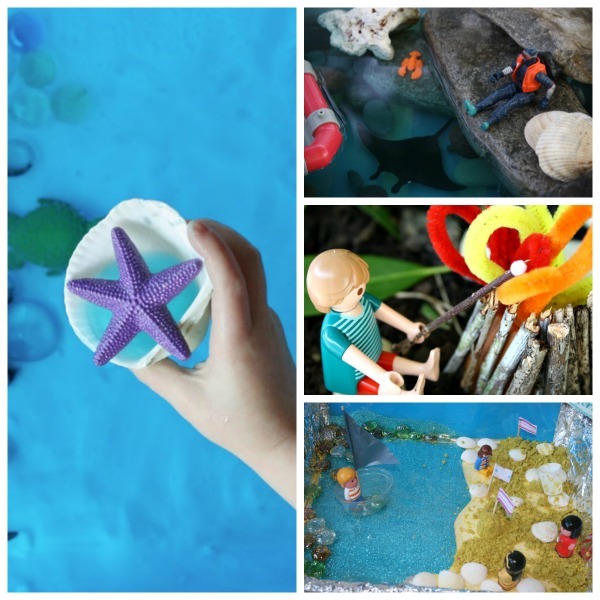 Add a fizzy science twist to your ocean small world with this idea from Fun at Home with Kids. 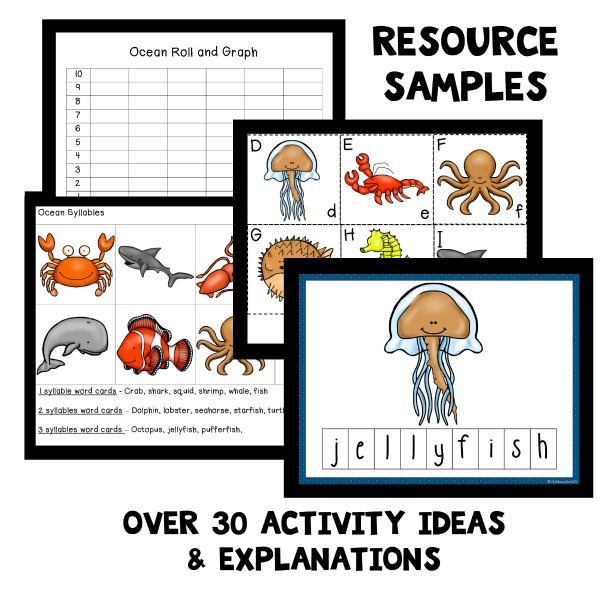 Learn about scuba diving and pretend to explore the deep blue sea with this small world from Happy Hooligans. Kids can build their own mini sand castles in this Seaside Small World from The Imagination Tree. And if you’re dreaming of camping instead of the beach make this camping small world. Create it in anticipation of your next camping trip, or make it once you’ve gotten home to practice retelling favorite events from your vacation.